Amid the doom and gloom following the full-time whistle in Belgrade, it should be noted that the Reds are still unbeaten in the league and on course for a title challenge. All is not perfect, but there are still opportunities ahead to showcase Liverpool’s quality and keep in the hunt for the biggest of trophies. Back in the Premier League on Sunday, and indeed back at Anfield, Jurgen Klopp‘s men will look to make it 12 unbeaten from the start of the season. It’s not just about the three points though after a dismal 90 minutes, so here are five things apart from victory that supporters want to see from the team. Liverpool have a better squad this season. There are players fighting for places and, in a few cases, showing that they deserve to be bumped up from support role to starter. 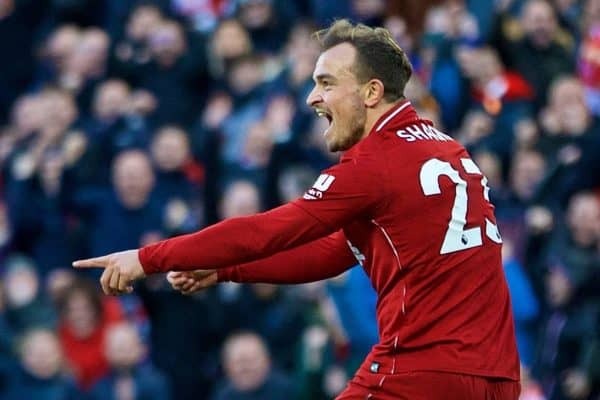 Xherdan Shaqiri is the best example of that so far, and should be held up as such—with his reward being a place in the starting XI. In recent weeks he has switched in and out with Adam Lallana, as the Englishman bids to regain match fitness. Fine. But Lallana has offered largely nothing of note, while Shaqiri’s end product has been tangible and regular. Get the Swiss attacker back in the side, both for his ability to cause problems and to highlight to other players that a place in the team can be won—if form is good enough. 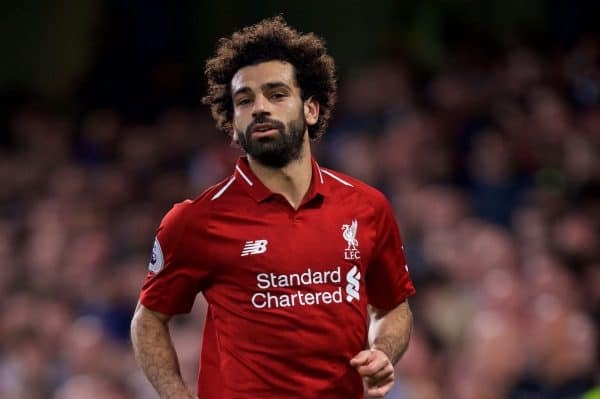 Liverpool’s midfield has been a source of concern all season, in truth, be it because they lack in genuine creative skills or because one or two have shown underwhelming form at times. But against Red Star was something new: no bite, no ability to deny the home team time on the ball…no tackles. Not a single challenge won by the trio of Gini Wijnaldum, James Milner and Adam Lallana, across the entire first half as Red Star scored twice. That’s not good enough, and it needs to change immediately. 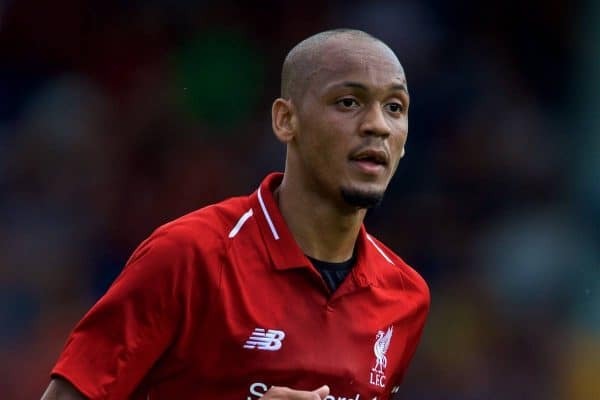 Whether that’s a personnel switch—Fabinho was certainly winning plenty of duels in his three-game run in the side—or going back to a double pivot, or simply instructing a higher press from the No. 8s which has been absent of late, that centre of the park needs to offer an awful lot more to the team. Liverpool’s best play undoubtedly comes when they get in opposition teams’ faces, force quick turnovers and then pounce, in numbers, to attack. That hasn’t really been the case all season long as the manager tries to balance the ultra-draining approach of relentless pressing, with the need to control games and have a more secure defence. But when the tempo in recent games has dropped to near-walking pace, the Reds don’t look any kind of threat at all. Runners from midfield have disappeared, the forwards aren’t exchanging passes at pace and the full-backs don’t get forward as much. 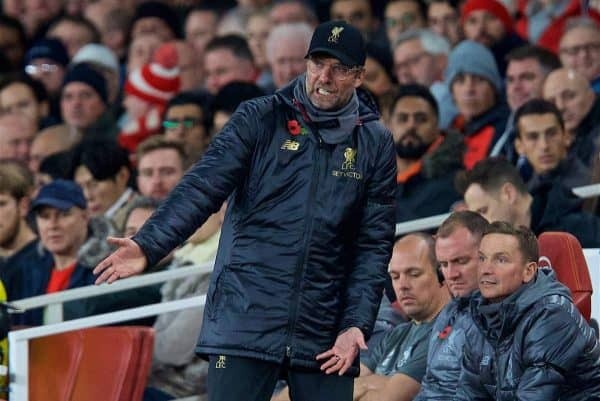 It can’t all happen at the flick of a switch, but someone on the pitch—and Klopp on the sidelines—has to take responsibility to urge the team to play at a quicker pace. This team’s identity is about being aggressive and offensive: so be it! Keeping clean sheets is great, but the team also has the quality at the other end of the pitch to put opponents to the sword. In theory, at least—but Liverpool took more than hour to have a single effort on target in midweek. No first-half efforts on goal, the first after 70 minutes, four in total—two of which came in stoppage time. Clearly, that’s not something we want repeated too often. Over the previous five games—from Man City through to Arsenal—the shots on target record (and goals scored) was two (zero), two (one), 11 (four), seven (four), four (one). When we’re good, the Reds can be very good, but taking so long to get started and play on the front foot inevitably leads to struggles in front of goal.